Especially for fall, BabyBjorn released the Bouncer Balance Soft and its carriers in The Woods Collection colors. Choose Frost Green, Fog Blue or Plum Red and have the freshest shades of the season. 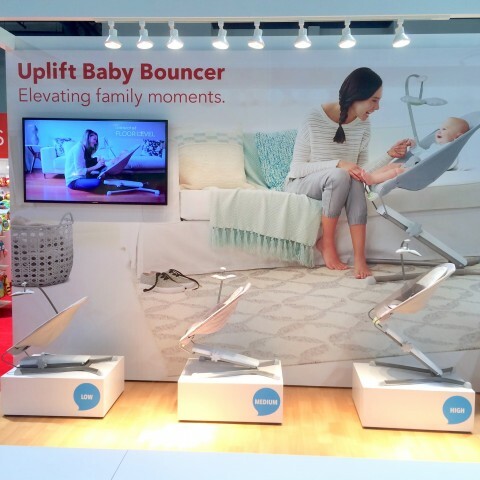 We’ve been waiting on this innovative new bouncer since we saw it in Vegas last fall, so I’m excited to announce that Skip Hop’s Uplift Multi-Level Baby Bouncer is now available. 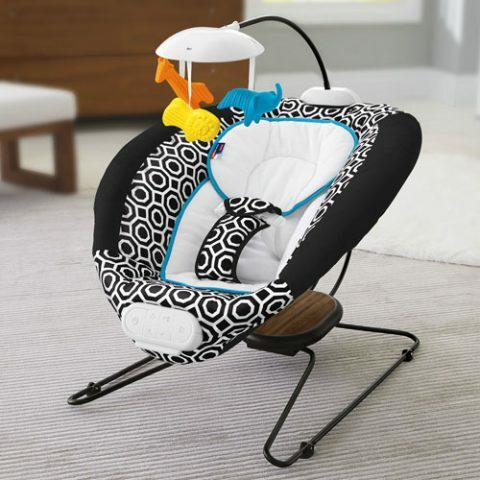 Skip Hop took the classic baby bouncer and “gave it a much-needed lift!” The floor bouncer can raise up to sofa height so family can interact with baby wherever they are sitting. 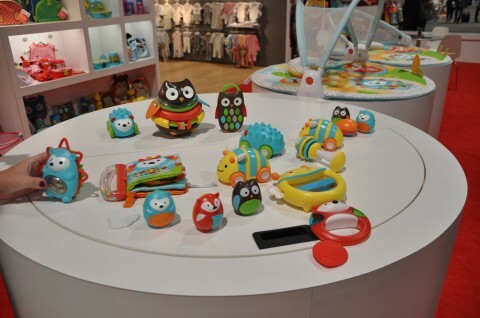 The bouncer also features a 5-point harness, washable fabric, push button sounds, a toy bar with mirror included, and it can be folded for storage. 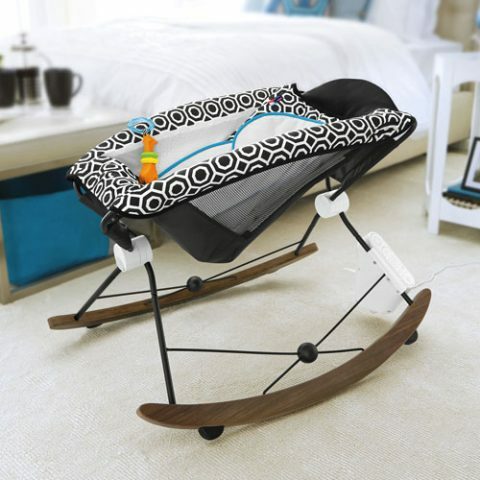 This new baby registry favorite retails for $150. 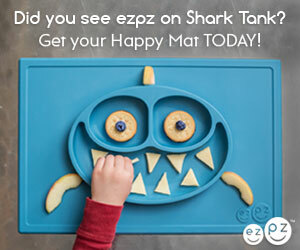 You can buy it on the Skip Hop website, at various baby boutiques or even via our amazon affiliate. 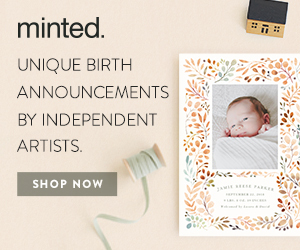 Where perfectly practical meets pretty, you’ve got BABYBJÖRN’s Watercolor Collection. 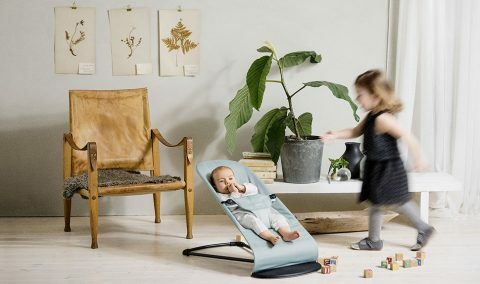 Inspired by the ocean, BABYBJÖRN Bouncer Balance comes in Great Blue, Ice Blue and Turquoise. The Travel Crib Light comes in Great Blue. 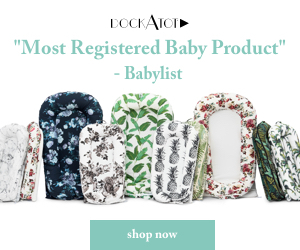 It’s such a breath of fresh air in the world of baby gear. The collection will only be available until September 2016 so keep that in mind. 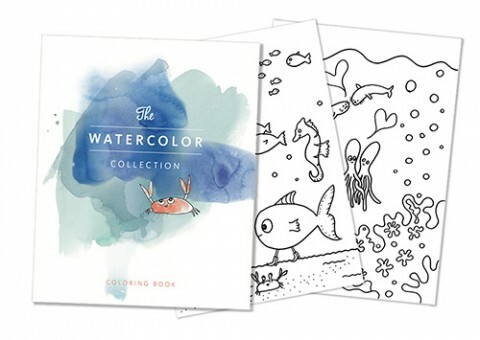 Download the corresponding coloring book and enjoy! 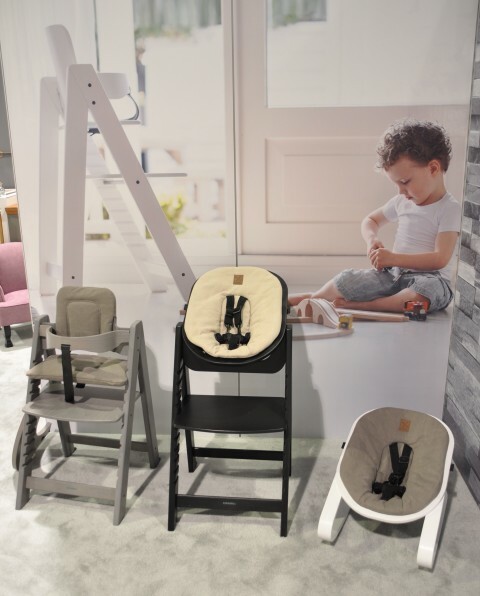 We’re excited for this all new modern bouncer to debut here in the US. 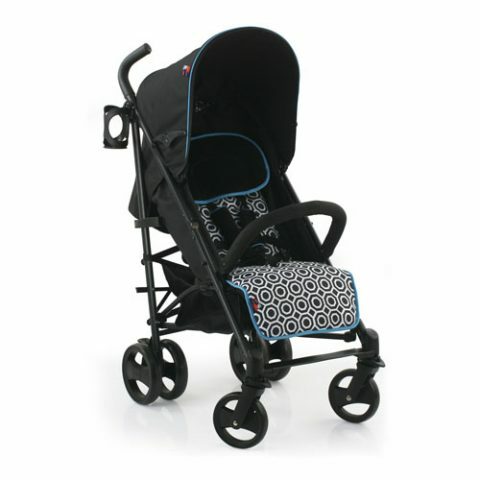 From BabyBjorn, the Bouncer Mini is more streamlined than the classic BabyBjorn Bouncer Balance . 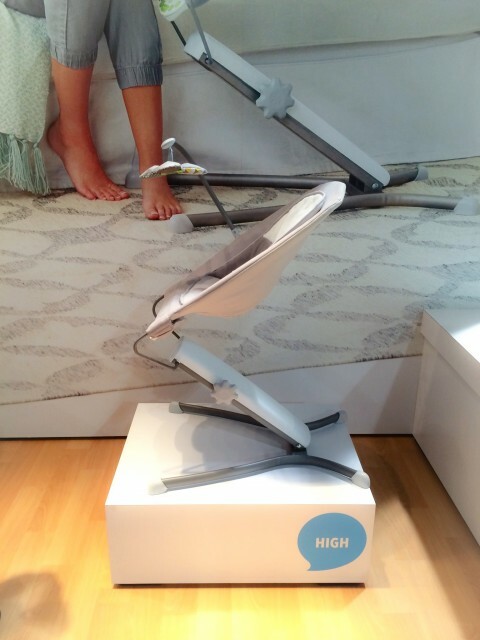 It can be used in an upright or reclining position and comes in Silver or Light Pink. 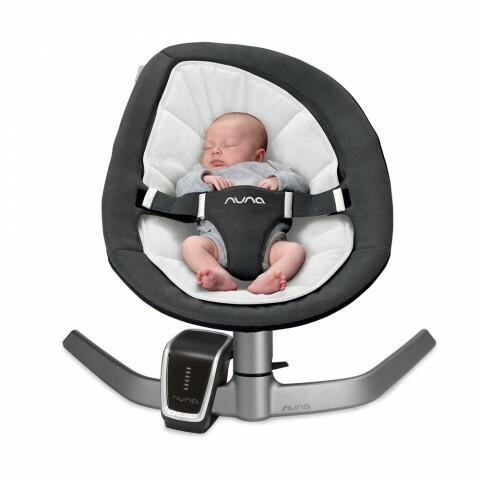 I already love the Nuna Leaf on its own, but with these new added accessories, you can have all the features you could possibly want in a baby lounger. 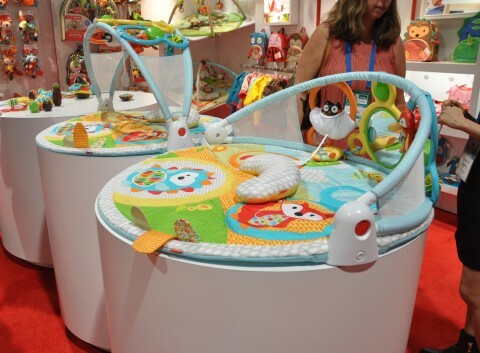 Skip Hop is a must-see at the ABC Kids Expo and their big showstopper this year was the Uplift Baby Bouncer. 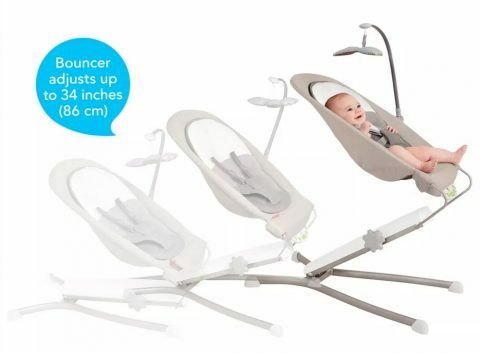 It’s a comfortable, modern baby lounger with the unique height adjusting feature. 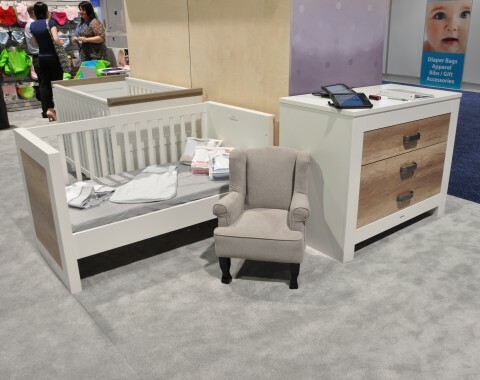 It adjusts from regular floor height up to sofa level to let you more easily interact with baby wherever you’re most comfortable. Coming in the spring/summer 2016. 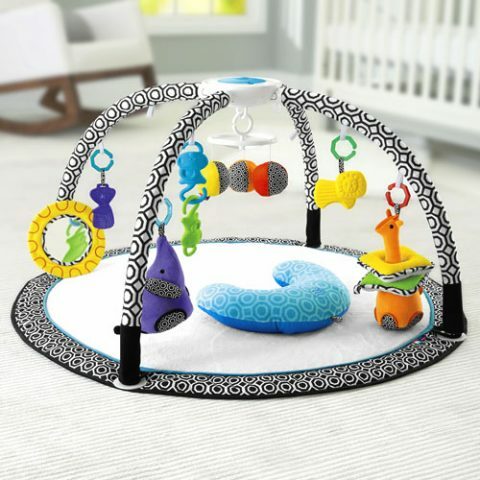 Skip Hop’s Arch Activity Gym has lots of cool features like a sound activated dancing fox and a secret pocket for your phone behind the mirror where you can take photos or videos of baby playing! … as well as these Take-along Kids Nightlights. 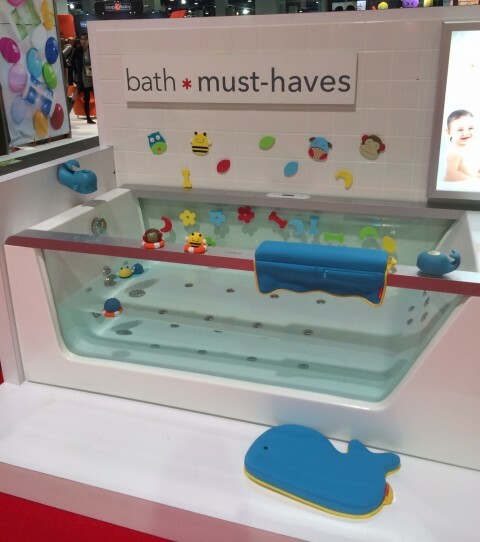 There are also a number of great new bath toys that are part of the zoo collection. 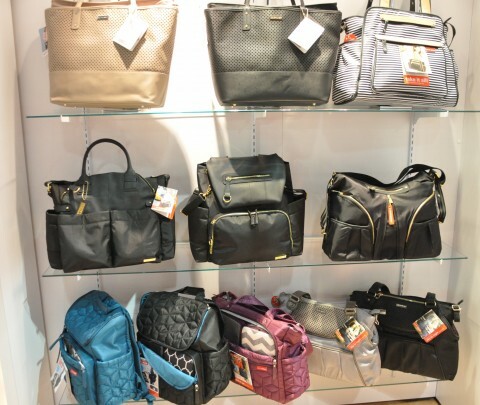 Finally, these High Line Totes are a chic new bags that will join an already wonderfully diverse diaper bag lineup. Keep an eye out for all the new stuff! 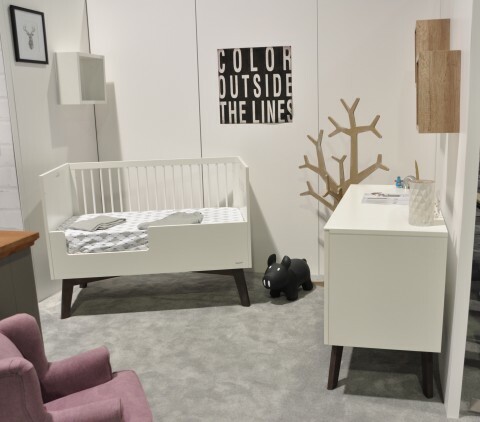 So many pretty nursery collections coming our way from Kidsmill. My favorite is this Sixties collection. 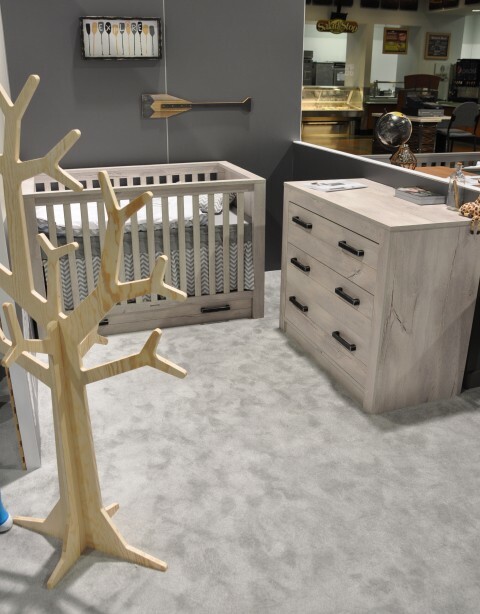 Fjord has a natural beachy feel, and YES the Hallstand tree is for sale! 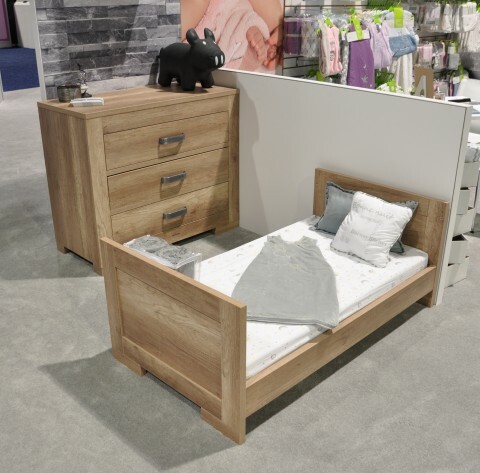 Lodge is another beautiful collection that can be used in many different interiors. 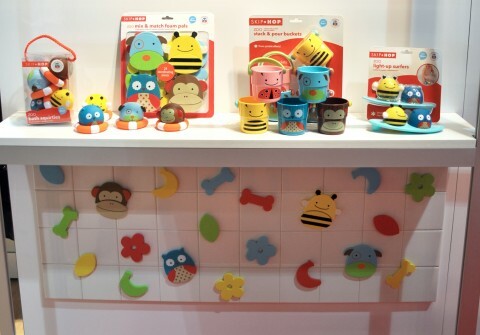 Costa is another exciting option, and we hope to see Kidsmill bring over many more of their nurseries. 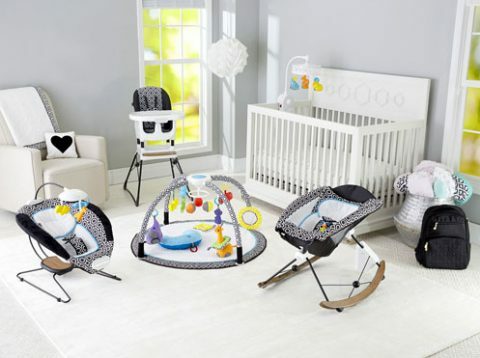 We can also look forward to their Highchair Up!, and the bouncer! Oh, how I love all these imports… keep ’em coming!